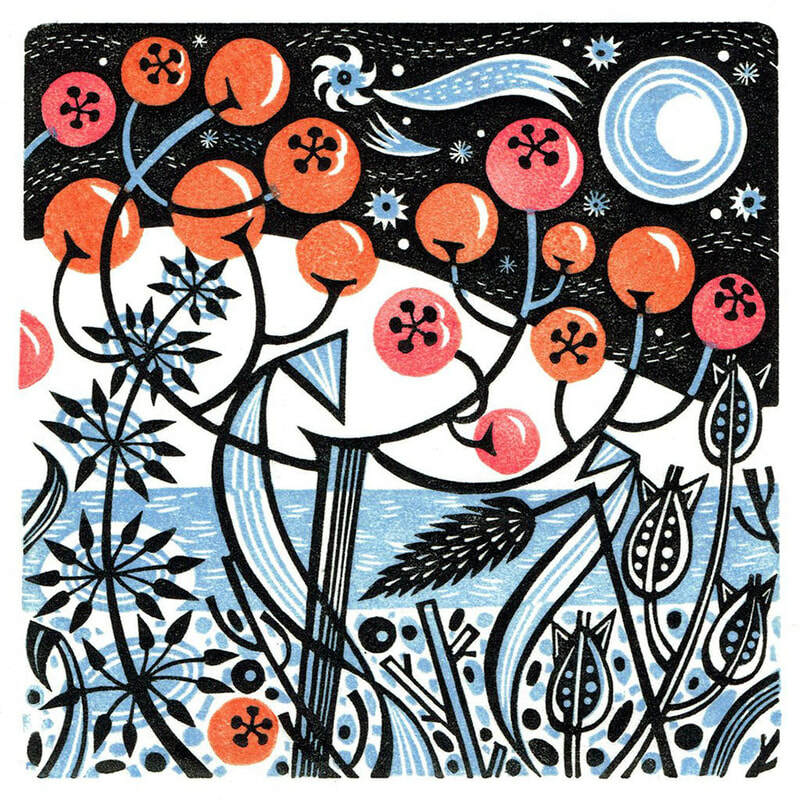 ​Angie Lewin studied printmaking at Central St Martin's College and Camberwell School of Arts and Crafts. 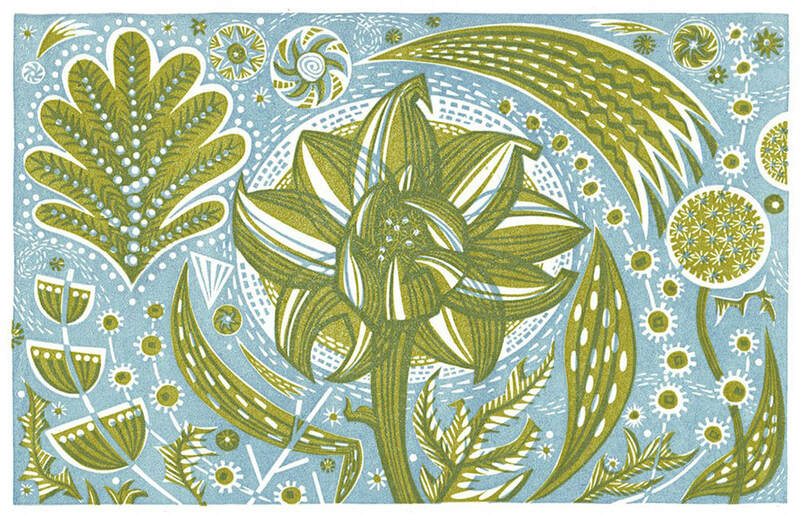 After working in London as an illustrator she studied horticulture and a move to Norfolk prompted a return to printmaking. She now lives in Edinburgh making prints, collage, illustrations and designs for fabric and is a member of the Royal Society of Painter Printmakers, The Society of Wood Engravers and The Art Workers Guild.